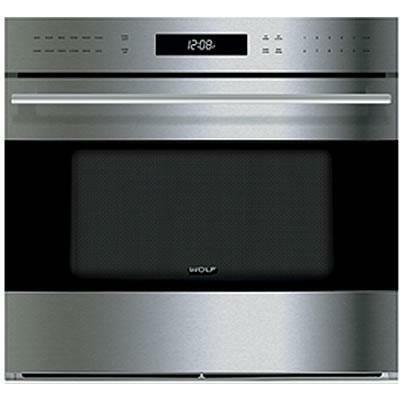 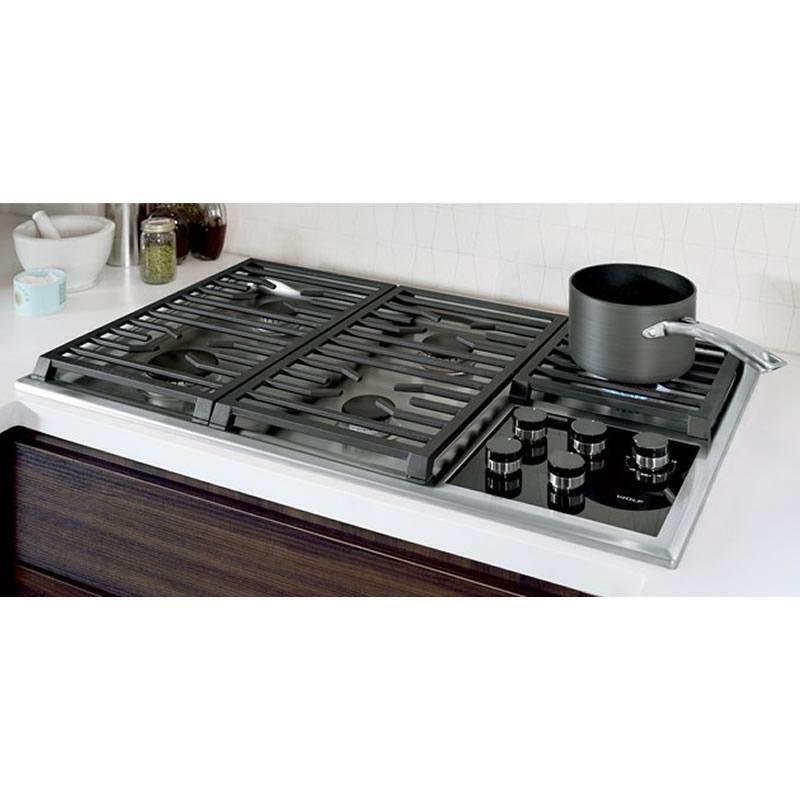 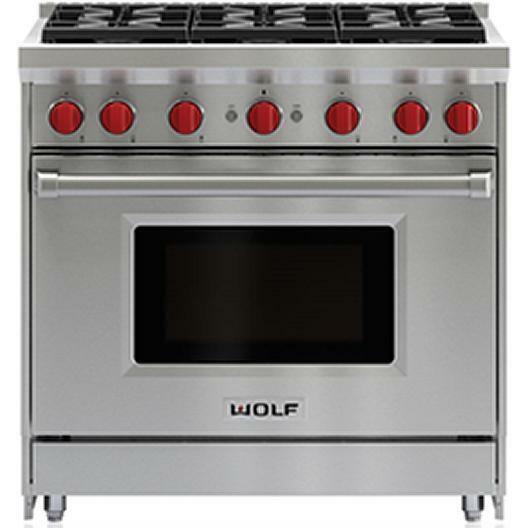 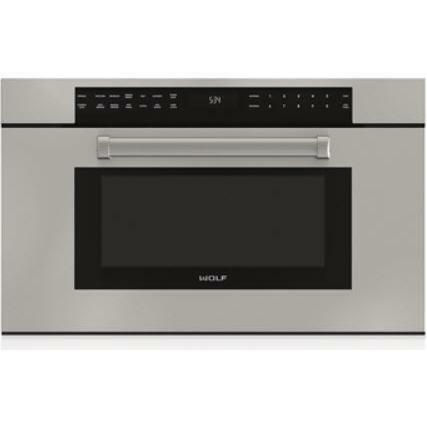 Wolf offers the industry’s widest range of gas cooktop styles, and the 36” transitional gas cooktop features five dual-stacked, sealed burners in a polished design. 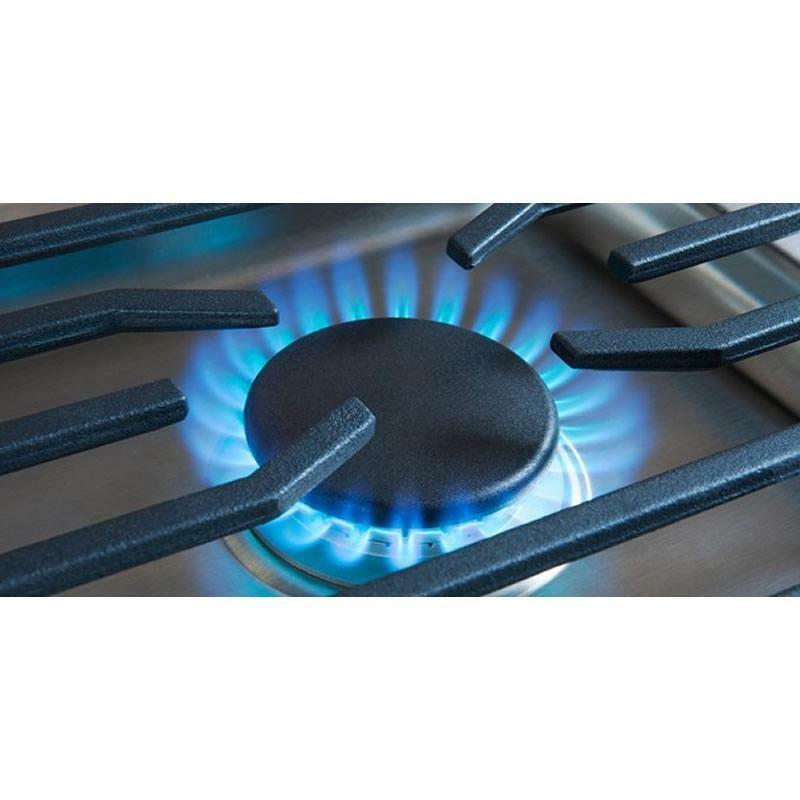 The patented two-tiered burners give cooks greater control over a wide range of heat output, for restaurant-quality sears and fast boil times to a mere breath of flame for gentle simmering of sauces, soups and other delicate foods. 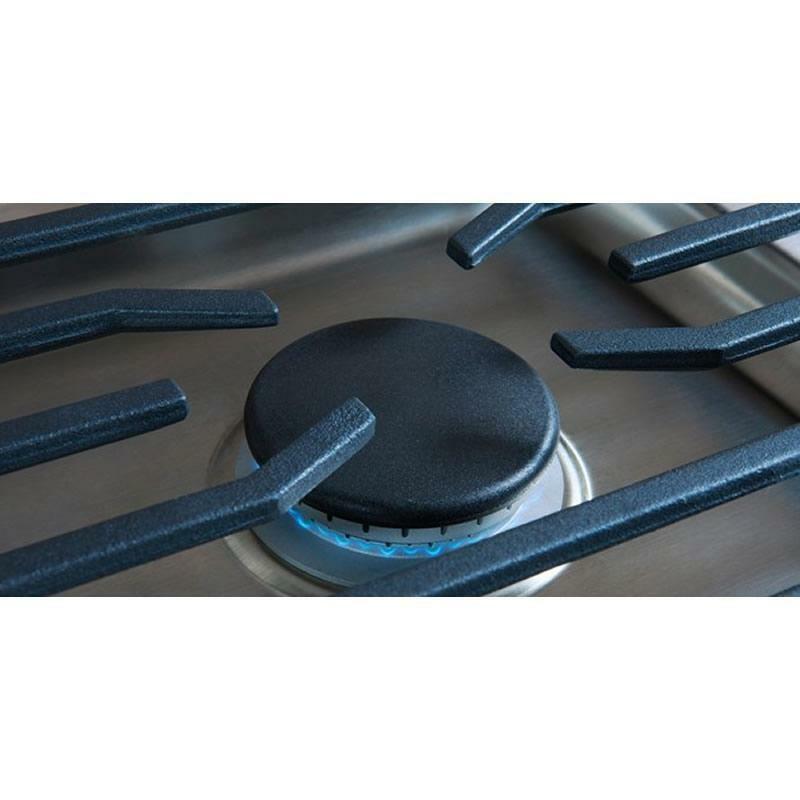 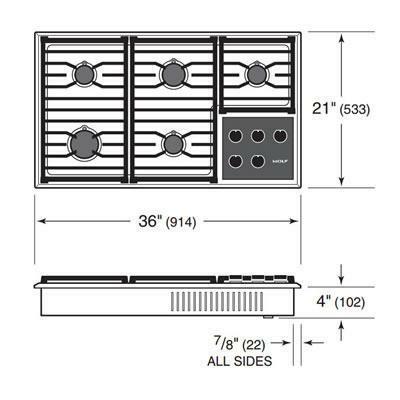 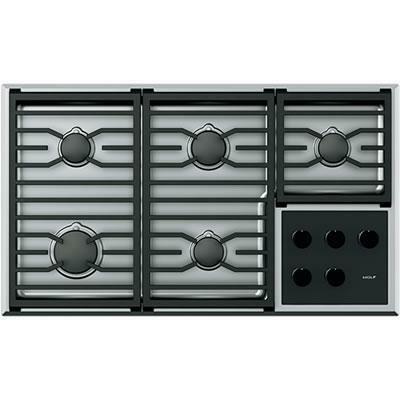 The cooktop’s seamless burner pan is constructed from a single piece of stainless steel, and porcelain-coated, cast iron grates make it easy to slide pots from burner to burner without lifting. 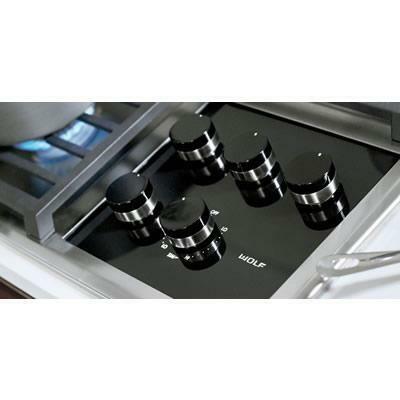 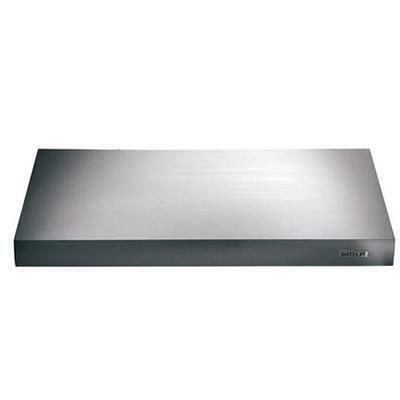 The controls consist of five brushed stainless control knobs capped in black and set against an all-glass panel. 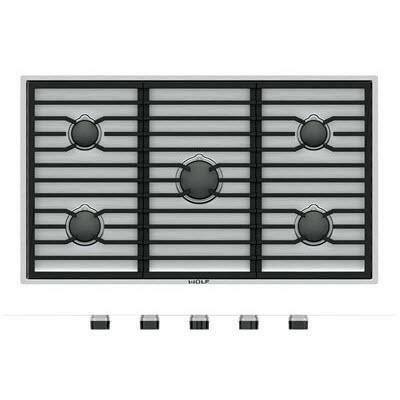 LED-backlit indicator lights appear around each knob only as controls are engaged, giving the panel a clean, quiet look when not in use.